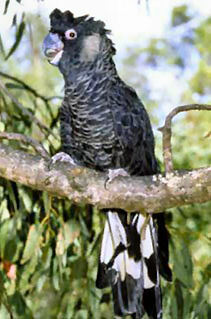 The globally unique and lovable Carnaby's Cockatoo exists only in the South West of WA. They are a totem for Noongar people and a part of our shared cultural and natural heritage. But the cockatoos are endangered and we are at risk of losing them forever. Instead of helping the cockatoos to recover, the State Governments own analysis shows the Government's Green Growth Plan would further drastically reduce the population of these beautiful birds, intelligent, social and long-lived birds.. By locking in the clearing of thousands of hectares of bushland that the birds rely on, numbers of these already rare birds would be reduced by half and the long-term survival of the population would be placed in question. While the State Government has hailed this Plan as a great environmental initiative, the grim reality is that it will result in the deaths of thousands of cockatoos through starvation as their vital food sources are bulldozed to make way for more unsustainable urban sprawl. The public submission period for this plan is open now. Tell them to send it back to the drawing board. See also an ABC report on the problems associated with this WA land-grab by a developer-government. "Carnaby's Black Cockatoos at risk if Perth-Peel land-use plan goes ahead, says leaked report." Note, however, that the ABC is part of this problem because it promotes the idea that mass immigration and population growth in Australia is inevitable. Mention in your submision that we don't need the massive human population growth, or urban sprawl, and there's nothing "green" about it. Please visit: https://ccwa.good.do/cockatoos/stopcockatoodisasterplan/"& and see candobetter.net's other pages on the Carnaby's cockatoo and previous efforts to save it in Perth - which these plans will wreck. The Curse of the British invasion lives on? "The Noongar people saw the arrival of Europeans as the returning of deceased people. As they approached from the west, they called the newcomers Djanga (or djanak), meaning "white spirits". There were a number of reasons for this. Firstly their white complexion reminded the Noongar of corpses; their unclean odour of early 19th century Europeans was said to resemble the dead; the fact that the ships arrived from the west, the direction of Kuranup, the setting sun location of the soul in traditional beliefs; the fact that Europeans seemed to have no memory of kinship relations; and that Noongars who associated closely with Europeans were apt to die from European diseases over which Aboriginal people had little resistance, supported this claim." And the devastation continues at an ever greater pace. We must stop this industrial savagery and civilise ourselves.